The Group represents the private investment interests of Ronald. W. Woss. Youth suicide robs society of its potential and its future. Mr Ronald W Woss is committed to changing that and making the University of Western Australia the world centre of excellence for the prevention of Youth Suicide. This ambitious, interdisciplinary youth suicide prevention initiative will establish a global centre of excellence for research and action to prevent youth suicide. It is a complex problem and solving it demands commitment, creativity and new knowledge. They say it takes a village to raise a child. It will take a community to save the ones we lose to preventable death. It was a privilege to have The Hon Julie Bishop MP, Minister for Foreign Affairs, launch the Foundation on Friday 18th May 2018, at the Lawrence Wilson Art Gallery at UWA. Mr Ronald W Woss was appointed as the inaugural Chairman of the Foundation. 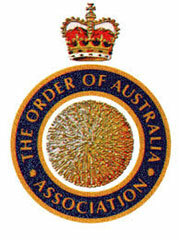 In his capacity as Chancellor of the Order of Australia, the Governor- General appointed Ronal W Woss a Member of the Order of Australia on Australia Day, Friday 26th January 2018. This appointment was made for significant service to youth, particularly in support for research into suicide prevention, and to the community through a range of charitable organisations. Further details concerning the appointment can be found on the Government’s website, or alternatively via the ‘more information’ link, below. In 1994, Ron Woss established the original Charitable Trust known as Youth Focus. It is the largest Charitable Organisation in Western Australia, dealing with Youth Suicide. Upon his resignation as Chairman of Youth Focus, Mr Woss was honoured by the Board naming him its first “Inaugural Honorary Lifetime Member”. Each year The Woss Group provides a number of Scholarships to worthy medical students at the University of Notre Dame. Each year The Woss Group provides a number of Scholarships to worthy nursing students at the University of Notre Dame. The Woss Group provides an Annual Donation to further the education of Nurses on the Gratwick Palliative Care Ward at Hollywood Private Hospital, in memory of the late Mr Rudolf Woss. Brigid and Ronald Woss AM were delighted to be able to host The Rodriguez Brothers, a renowned Jazz Duo whose latest recording was nominated for the 2016 Grammy awards for best Latin Jazz. The Rodriguez Brothers performed over three spectacular evenings with concerts featuring each of the brothers on their own and also working with the students in a number of different formats, from duos to quintets and mini big bands. The repertoire was a retrospective of Cuban based music and its development in New York. Guests experienced Latin classics and modern contemporary Latin jazz, including tunes such as Manteca by Dizzy Gillespie and even the Peanut Vendor, the unofficial Cuban anthem. The Woss Family Visiting Jazz Artists Program, gives WAAPA the ability to recruit talented practitioners to Perth to expand creative boundaries and energise both students and teaching staff. Please follow the link below to experience a sample of this wonderful music. Ron Woss was the Founding Chairman of the Perth International Jazz Festival. © Copyright 2019 Woss Group. All rights reserved.